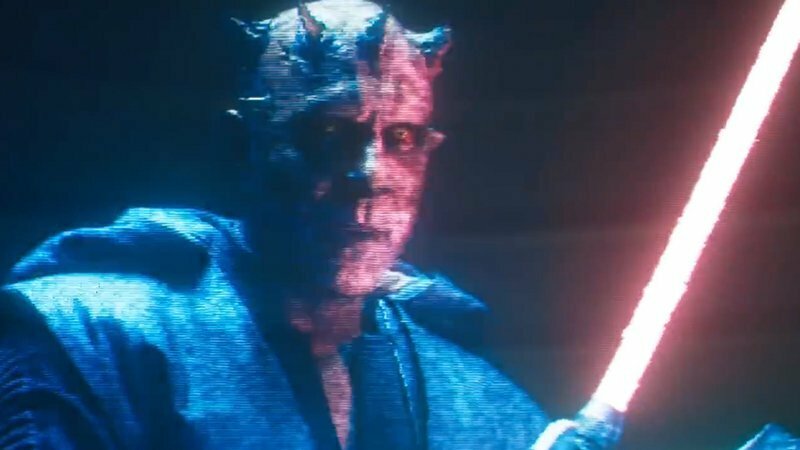 Watch the Full Darth Maul Cameo From Solo: A Star Wars Story! Solo: a Star Wars Story was obviously a huge disappointment from both a financial and critical perspective for Disney. Yet, the film still features enough to warrant a second (or third) viewing once it releases on home video this month. Case in point, the surprise reveal of once-thought-to-be-dead baddie Darth Maul, seen in this clip from IGN, and that breathtaking train heist sequence, which has been released via the official Star Wars YouTube page. Check out the Darth Maul cameo and the train heist scene from Solo below, along with new publicity shots of Darth Maul in the gallery! At the end of the film it’s revealed that Han Solo’s former love Qi’ra (Emilia Clark) was actually in cahoots with the villain Darth Maul, last seen getting his torso cut in two by Obi-Wan Kenobi at the end of The Phantom Menace — discounting the animated TV shows, where he figures prominently. The scene was actually quite the surprise and worked as a neat segue into Disney’s planned spinoffs, including the long-rumored Obi-Wan film. Unfortunately, due to Solo’s poor reception, we may not see Maul return to the big screen again anytime soon. 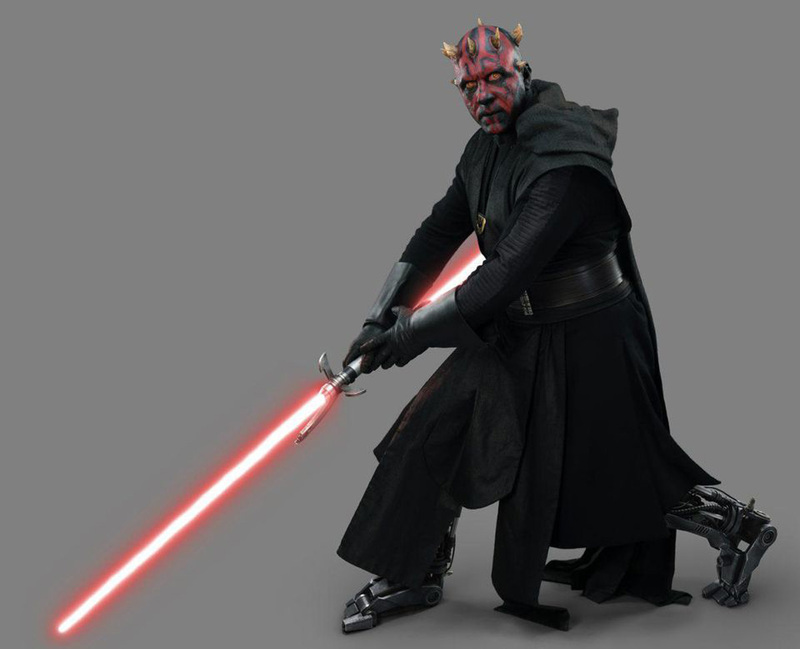 Which is a shame, since Ray Park, the actor who portrayed Maul, was completely onboard to portray the now half-robot character once more. Though the cameo was a surprise to most, Park actually spoiled his return on his Instagram account with a series of images showing off Maul’s new robotic legs, which you can see in the gallery below. No one thought he was teasing an appearance in Solo, and instead figured he was preparing for the Obi-Wan film. For Solo, Park was only given a few of his lines and a brief summary of the plot points leading up to his arrival. And while he acted out the part, Sam Witwer of The Clone Wars and Star Wars Rebels actually provided Maul’s voice. Still, Park found the experience really enjoyed and is keen to further explore the character. “If anything ever happens in the future and the character is back, and it’s me? I have a lot of great ideas of what I’d like to do with it,” he said. Directed by Ron Howard, the fun-filled galactic heist movie Solo: A Star Wars Story stars Alden Ehrenreich, Woody Harrelson, Emilia Clarke, Donald Glover, Thandie Newton, Phoebe Waller-Bridge and Paul Bettany. Joonas Suotamo returns to play Chewbacca. Solo hits Digital-HD and 4K Ultra HD on September 14 and on blu-ray 4K Ultra HD, Blu-ray, DVD and On-Demand on September 25. The post Watch the Full Darth Maul Cameo From Solo: A Star Wars Story! appeared first on ComingSoon.net.